Irene fell far short of the media’s dire warnings. 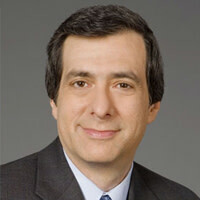 Howard Kurtz on the scaremongering. It was raining in Manhattan on Sunday morning, and the dogged correspondents in their brightly colored windbreakers were getting wet. But the apocalypse that cable television had been trumpeting had failed to materialize. And at 9 a.m., you could almost hear the air come out of the media’s hot-air balloon of constant coverage when Hurricane Irene was downgraded to a tropical storm. Not everyone was willing to accept this turn of events. When the Weather Channel’s Brian Norcross told MSNBC that forecasters had been expecting the first hurricane to make landfall in New York City since 1893—“and it didn’t happen”—anchor Alex Witt was openly skeptical. With not much to report on the island of Manhattan, the cable news channels switched to places like Long Beach, Long Island, where such correspondents as NBC’s Al Roker and CNN’s John King delivered their wind-whipped reports. “It looks pretty hurricane-ish to me,” Fox anchor Shep Smith said as reporter Jonathan Hunt, British and breathless, showed a hotel parking lot under a foot and a half of water. Long Beach, it should be noted, is a narrow barrier island three feet above sea level and prone to flooding. Someone has to say it: cable news was utterly swept away by the notion that Irene would turn out to be Armageddon. National news organizations morphed into local eyewitness-news operations, going wall to wall for days with dire warnings about what would turn out to be a Category 1 hurricane, the lowest possible ranking. “Cable news is scaring the crap out of me, and I WORK in cable news,” Bloomberg correspondent Lizzie O’Leary tweeted. I say this with all due respect to the millions who were left without power, to those communities facing flooding problems, and of course to the families of the 11 people (at last count) who lost their lives in storm-related accidents. And I take nothing away from the journalists who worked around the clock, many braving the elements, to cover a hurricane that was sweeping its way from North Carolina to New England. But the tsunami of hype on this story was relentless, a Category 5 performance that was driven in large measure by ratings. Every producer knew that to abandon the coverage even briefly—say, to cover the continued fighting in Libya—was to risk driving viewers elsewhere. Websites, too, were running dramatic headlines even as it became apparent that the storm wasn’t as powerful as advertised. The fact that New York, home to the nation’s top news outlets, was directly in the storm’s path clearly fed this story-on-steroids. Does anyone seriously believe the hurricane would have drawn the same level of coverage if it had been bearing down on, say, Ft. Lauderdale? The symbiotic relationship between television and local officials played a huge role. Chris Christie, the New Jersey governor who was all over television on Sunday morning, had drawn saturation coverage with his blunt warnings to “get the hell off the beach.” New York’s mayor, Michael Bloomberg, who ordered evacuations of low-lying areas, has been a constant presence. President Obama and FEMA officials made sure to generate their share of news as well. These officials have a responsibility to plan for worst-case scenarios, of course, but something more blatantly political is at work. Mayors and governors need to be seen as on top of the crisis, which means being visible on the tube. No one wants to be the next Ray Nagin or Heckuva Job Brownie, looking disorganized after Katrina. A badly handled snowstorm has contributed to more than one mayor’s defeat. The blizzard of press conferences, in turn, enable the networks to keep their "Breaking News" banners up and furnished a sense of drama for a story that otherwise consisted of reporters on streets where the hurricane was expected to strike and weather experts with their maps in climate-controlled studios. Given the localized nature of storm coverage, it was hardly surprising that cable news kept switching to feeds from local stations. “Live Rescue in New York,” said the CNN banner, picking up a WABC-TV report on an elderly man in Westchester County being helped from rising waters. But it was hardly rare—the kind of submersion we routinely see in flooded Mississippi River towns. Fox switched to a WNYW-TV report on rising water near a group of homes in Sheepshead Bay, Brooklyn. Smith joked that he didn’t want the local reporter to fall in the calf-high water, even though “it would make good television.” News alert from someone who grew up there: it’s a waterfront neighborhood with fishing boats on a large bay that feeds into the Atlantic. This stuff happens. But there is always the prospect that something bad might happen soon. “Is Wall Street going to open tomorrow?” business correspondent Bob Pisani asked on MSNBC, the towers of the financial district behind him. Hurricanes are unpredictable, and it’s a great relief that the prophets of doom were wrong about Hurricane Irene. But don’t expect the cable networks to downgrade their coverage the next time a tropical storm gathers strength.